There have speculations about the relationship between Yuvraj Singh and MS Dhoni for pretty long. 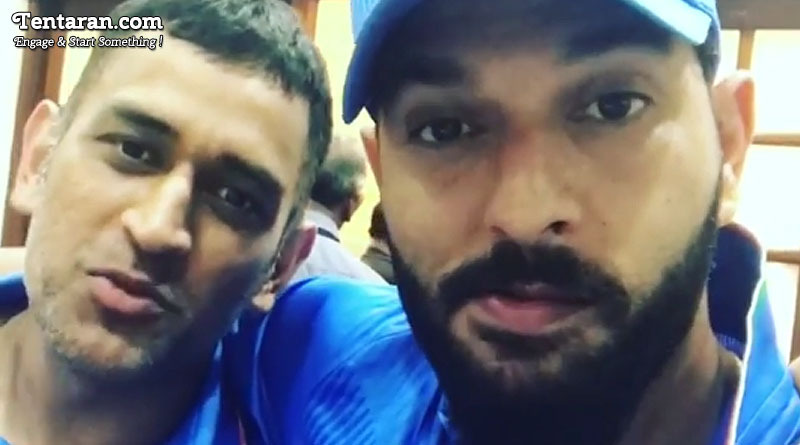 To put an end to all such rumors Yuvraj Singh posted a video on his Instagram account giving tribute to MS Dhoni. Yuvraj shared about his great friendship with the former Indian captain and even asked questions related to his cricketing journey as captain, which Dhoni, as usual, answered with little Splendour. India A lost the game by three wickets to England, but Dhoni and Yuvraj made a valuable contribution by scoring 68 not out (40 balls) and 56 (48) respectively.